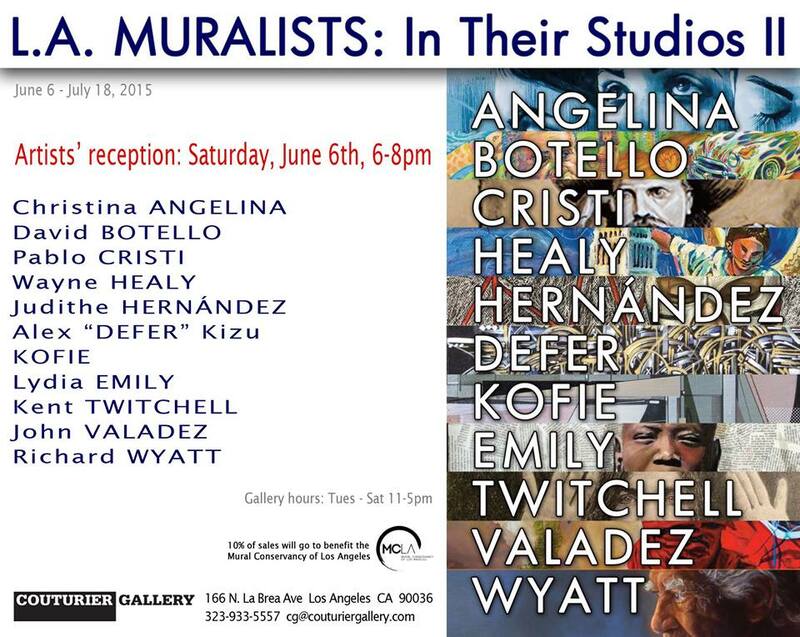 L.A. Muralists: In Their Studios II. See you all there! A great event here in our beautiful city of Los Angeles will take place on June 6, 2015 at the Couturier Gallery 166 N. La Brea Avenue, Los Angeles, Ca. 90036. pm 8pm. You know I will be there supporting my brother Alex Defer Kizu as well as Kofie UTI and all the other artists that will partake in this exquisite line up exhibit. I love my city and our original forms of style and art social movement we are all a part of. Come thru and support of fellow friends and artists!